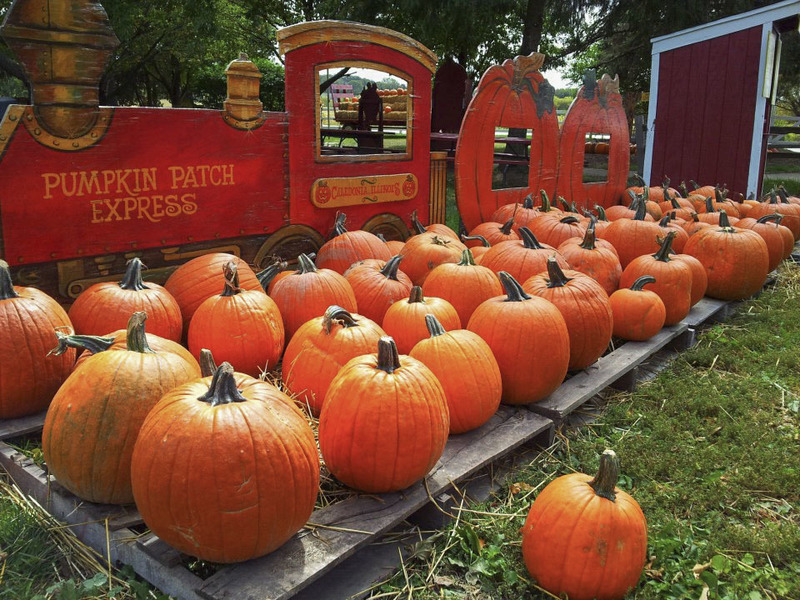 The best pumpkin patches near Chicago have it all: fresh apple cider, warm doughnuts, oodles of family-friendly activities and, most importantly, plenty of pumpkins to choose from. 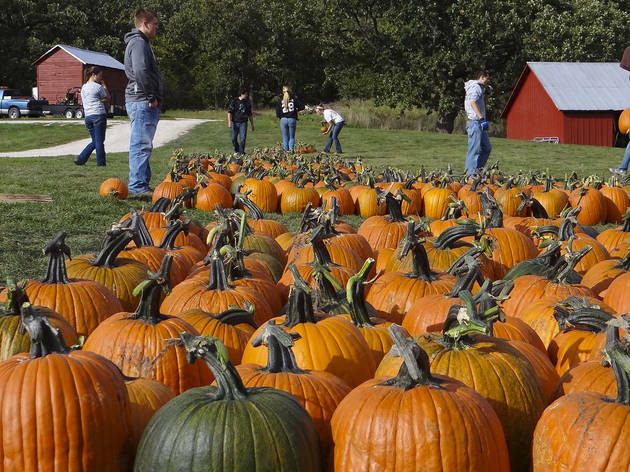 Whether you're looking to escape the city for some fresh air or you're searching for the perfect carving canvas, a trip to one of Chicago's best pumpkin patches should be on your fall bucket list. 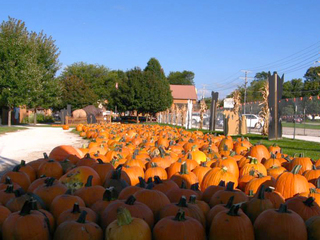 Ditch the pumpkin spice latte and venture outside to find the real thing. 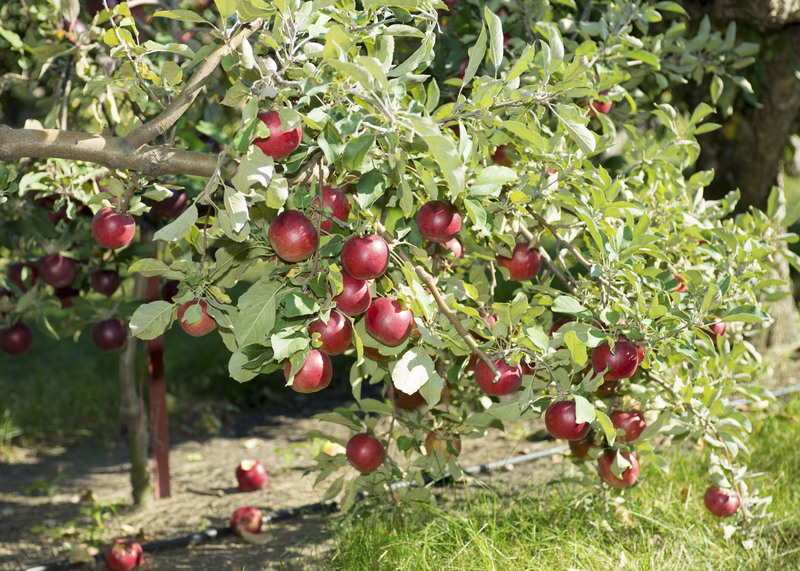 These top-rated patches make it easy to while away an entire day with corn mazes, apple picking and family activities galore. 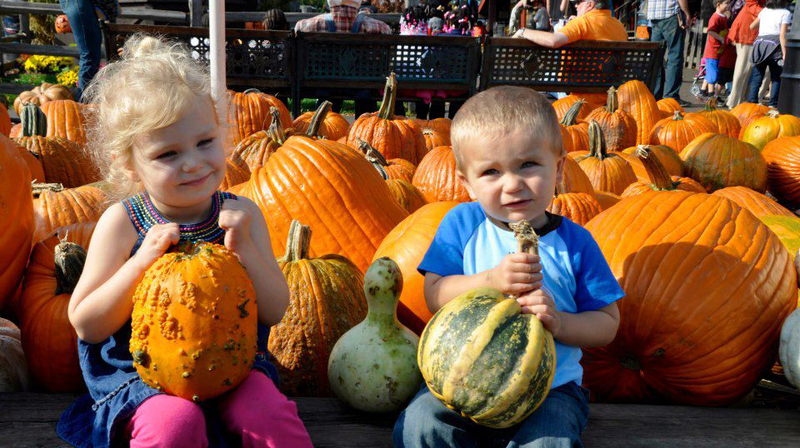 Fall fun is the name of the game at Goebbert’s in South Barrington, where you can not only pick up all the pumpkins your heart desires, but you can also put the kids on a wagon ride or check out the exotic petting zoo (seriously, there’s a giraffe). 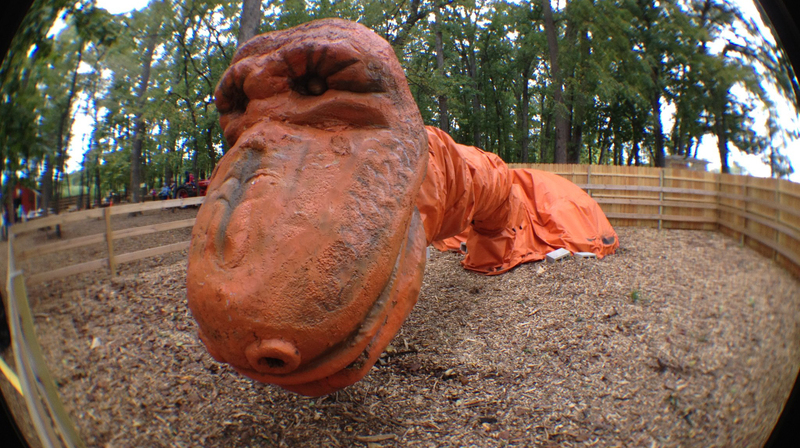 Before you head home, get lost in the corn maze and check out the pumpkin-eating dinosaur. 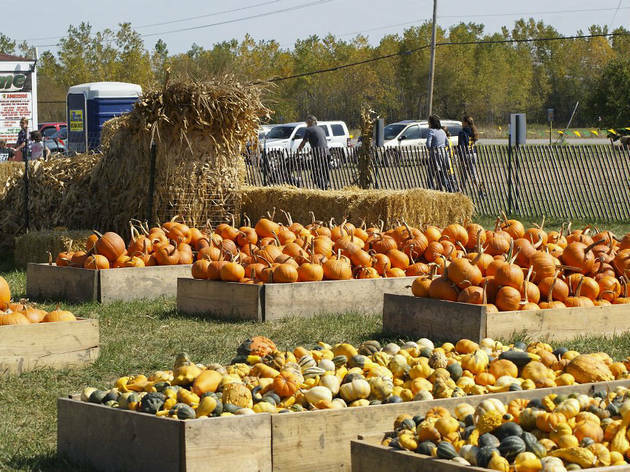 U-Pick apples and pumpkins are the name of the game at this Indiana orchard, but that's not all that’s in store. Check out the bee yurts, where hundreds of bees work and live, or book your own campfire. The little ones will adore the Kids Farm, complete with pygmy goats and piggies. 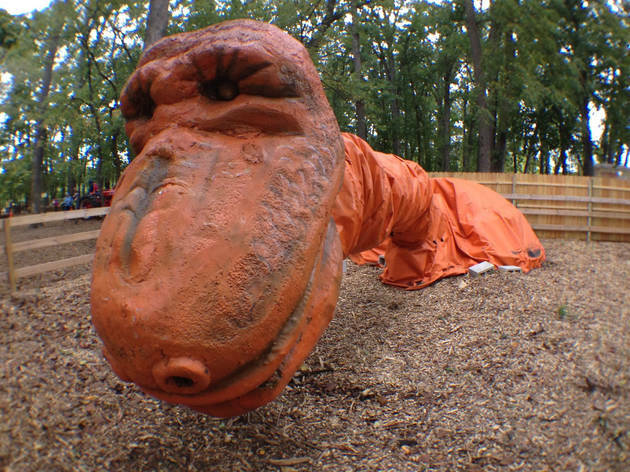 On weekends, Peter the pumpkin-eating dinosaur is ready to entertain guests. 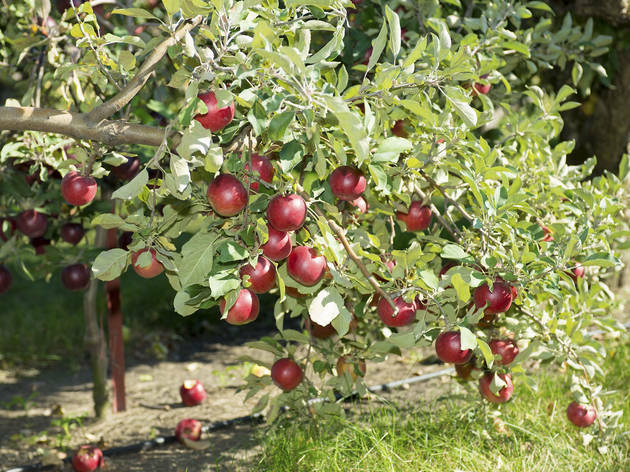 You'll find more than apples at this orchard in Malta, Illinois. 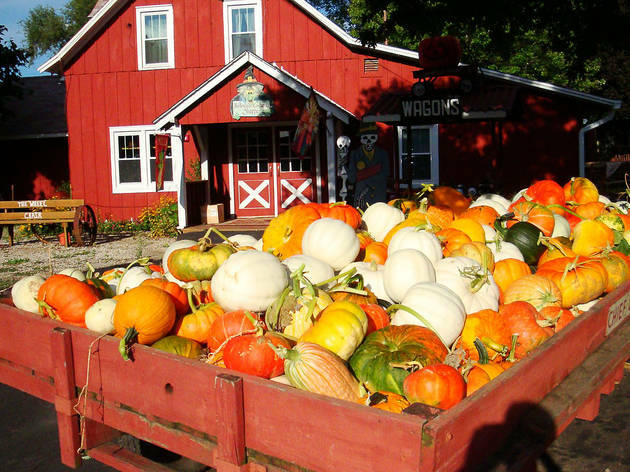 Cruise the 12-acre pumpkin patch in search of a perfectly plump squash before hitting up the Cider House, where you can sample apple wines and hard cider. If the kids tagged along, pay $5 to check out the haunted corn maze, which is open Friday through Sunday. 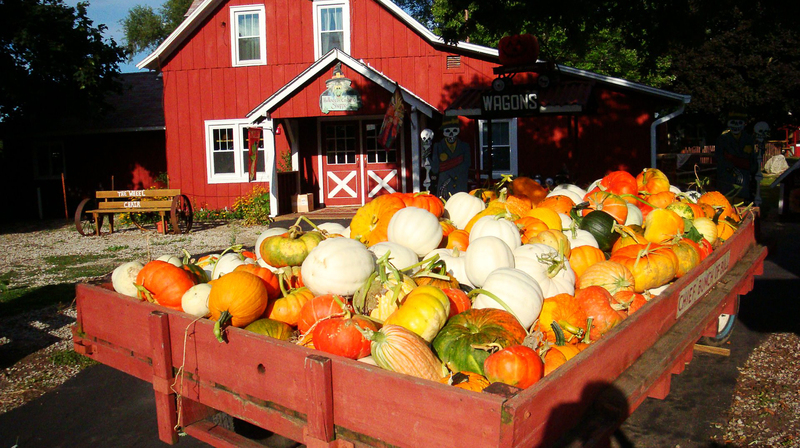 There’s a reason this lively farm calls its fall pumpkin-picking season Pumpkinfest. Watch pigs race, play in the silly string asylum or grab a hot dog and spiced apple cider at the concession stand. 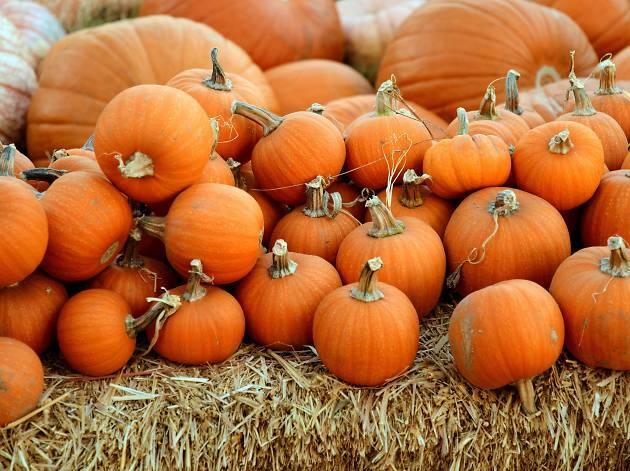 Of course, there's a huge selection of unique, unusual gourds to choose from—perfect for porch jack-o’-lanterns. 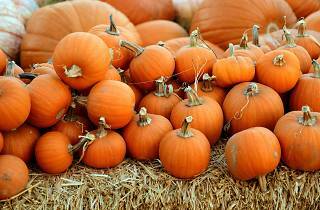 This one-stop shop offers piles of pumpkins, squash and gourds—everything you need to bring the season home to Chicago. The kiddos will have a chance to shop Halloween costumes, and everyone can enjoy roasted corn on the cob and cotton candy. Make time to take a spin on the haunted wagon ride, too. 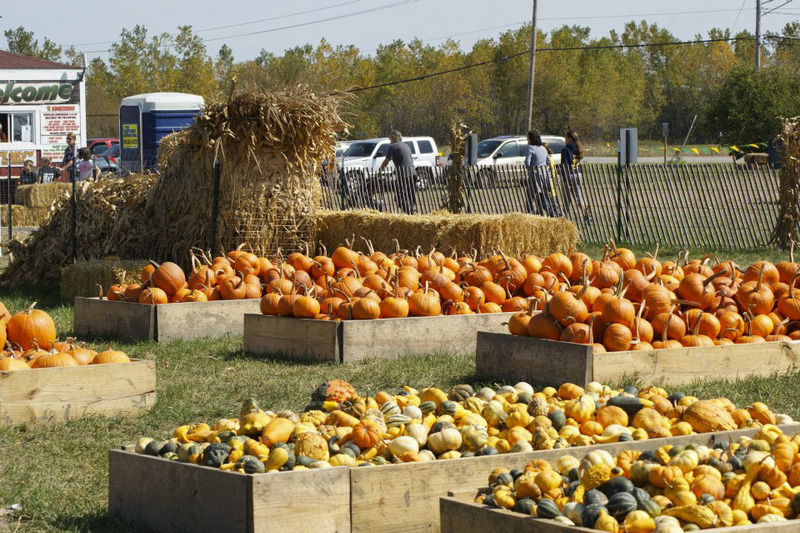 Pumpkins, ponies and hayrides make Bengtson’s a perfect fall getaway. Arrive hungry for apple cider doughnuts, award-winning barbecue and funnel cakes, too. 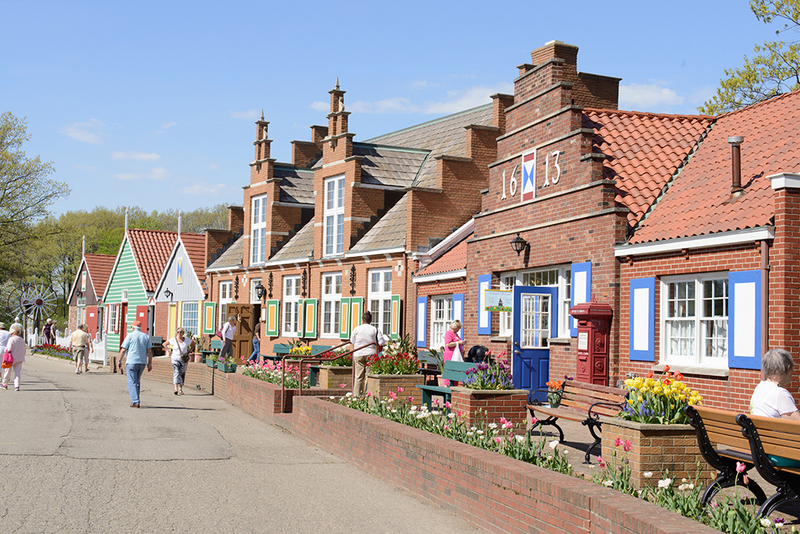 Then let the kids expend some of that pent-up energy on the Barnyard Dance Cow Coaster and in Kids Village. Get a snapshot for the fridge at the free selfie booth before getting back in the car. 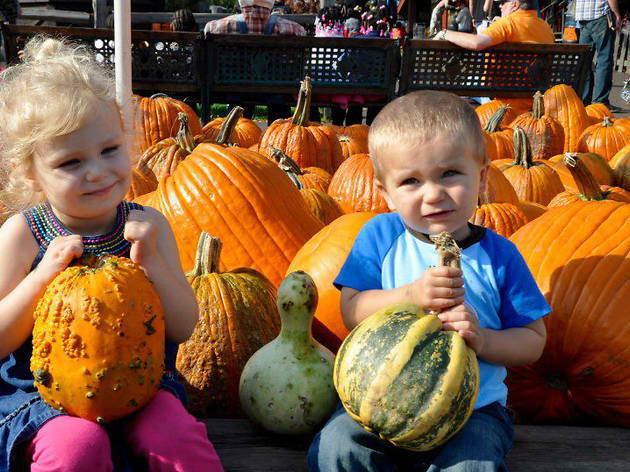 This sweet Caledonia farm is all about family togetherness, which means the little ones will have plenty to do. 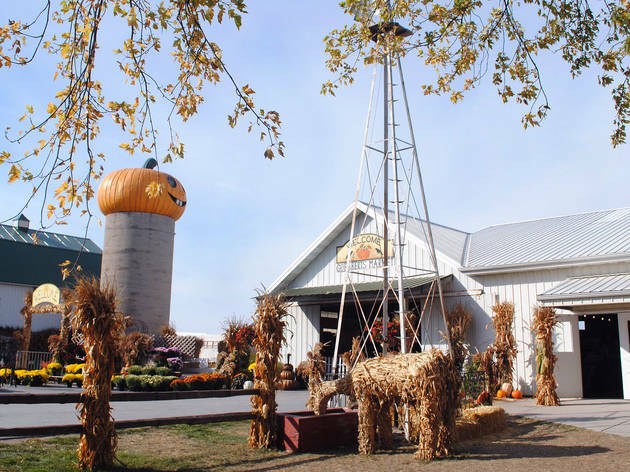 On the activities front, families can enjoy old-fashioned wagon rides, a petting zoo, a playground with inflatable rides and a seven-acre corn maze. 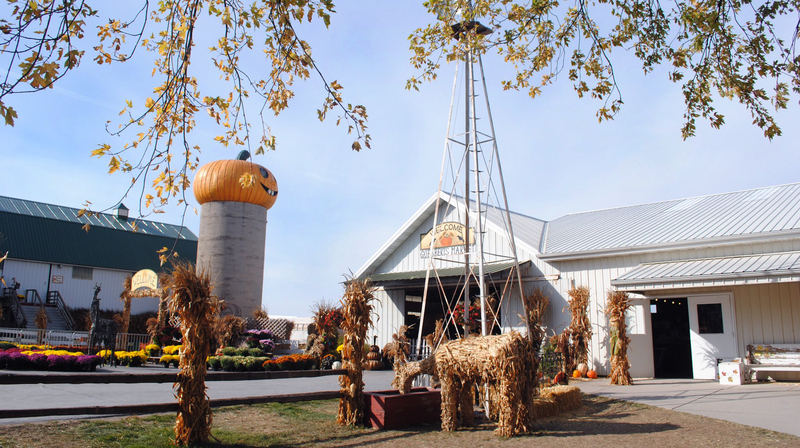 The Great Harvest Barn offers a café and bakery plus a gift shop that's stocked with candy, canned goodies and home decor. This aptly named Tinley Park orchard offers a pumpkin patch, a 15-acre corn maze, a zombie safari hay ride, zip lines and so much more. In other words, don’t plan on a quick trip—you’ll want to spend the entire day at this massive farm. Check out the official website for weekly events throughout the season. 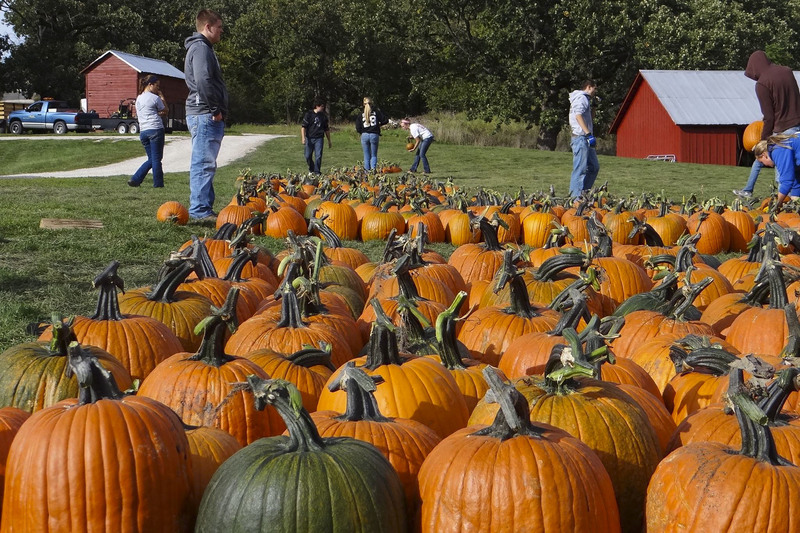 Visitors will get a built-in history lesson at this family farm in Channahon, Illinois. Located about an hour from Chicago, the grounds house an old barn that’s on the National Register of Historic Places. 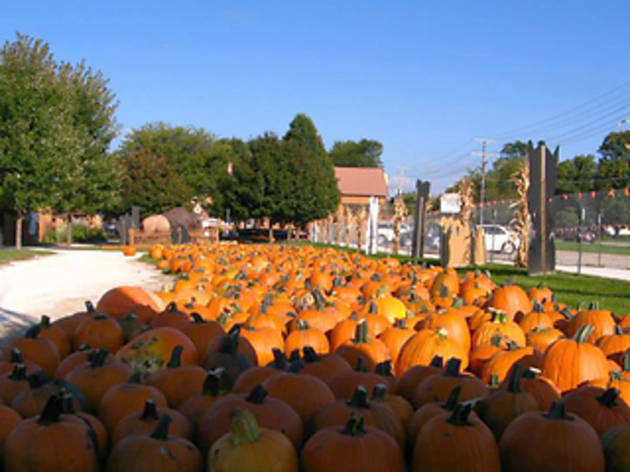 In addition to the pumpkin patch, petting zoos and corn maze, check the farm’s website for Revolutionary and Civil War reenactments and even a lumberjack show. When you just need a little escape, hop in the car for a family weekend getaway to another cool Midwest destination. We all know Chicago is great when it comes to taking kids to the beach or playgrounds with water features, but sometimes you just need a change of scenery. 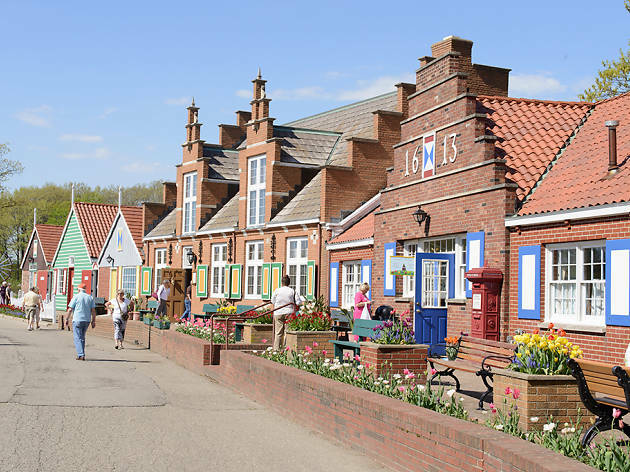 Check out these sample itineraries to discover quaint small towns and even resorts full of awesome activities for kids.